Disney and Pixar have released a new trailer for Toy Story 4, and we’re introduced to new characters as well as returning favorites. Christina Hendricks, Keanu Reeves, and Ally Maki are lending their voices for the new toys. Bonnie is the new owner of the toys from the Toy Story films, and in the trailer, she made a new toy called Forky. However, Forky doesn’t see himself as a toy and decides to leave. Woody, knowing the importance of a toy bringing happiness to a child, will do whatever it takes to bring Forky back and show him the way, even if it means separating from the gang again. We’re introduced to new and creepy toys including Gabby Gabby, a talking pull-string doll from the ’50s, along with her friends of voiceless ventriloquist dummies. Then there’s the return of Bo, who was missing in Toy Story 3. Fans wondering about her whereabouts will finally get to see her reunite with Woody. As it turns out, she is actually doing okay with her new lifestyle and wants Woody to join. The film is shaping up to be an emotional, roller coaster ride. BENSON is a classic, antique ventriloquist dummy, and Gabby Gabby’s right hand. He leads a small group of ventriloquist dummies that serve as Gabby’s henchmen. With no person to give them a voice, these silent toys patrol the antique store with a looming quietness that is inherently unsettling. Synopsis: Woody (voice of Tom Hanks) has always been confident about his place in the world, and that his priority is taking care of his kid, whether that’s Andy or Bonnie. So when Bonnie’s beloved new craft-project-turned-toy, Forky (voice of Tony Hale), declares himself as “trash” and not a toy, Woody takes it upon himself to show Forky why he should embrace being a toy. But when Bonnie takes the whole gang on her family’s road trip excursion, Woody ends up on an unexpected detour that includes a reunion with his long-lost friend Bo Peep (voice of Annie Potts). After years of being on her own, Bo’s adventurous spirit and life on the road belie her delicate porcelain exterior. As Woody and Bo realize they’re worlds apart when it comes to life as a toy, they soon come to find that’s the least of their worries. The film is directed by Josh Cooley (Riley’s First Date?) and produced by Jonas Rivera (Inside Out, Up) and Mark Nielsen (associate producer “Inside Out”). Toy Story 4 hits theaters on June 21, 2019. 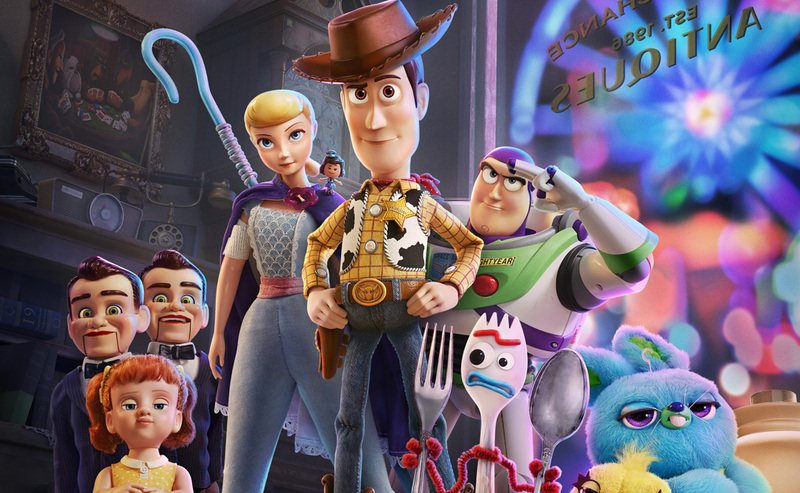 The post New Toy Story 4 trailer features creepy, new toys and the return of Bo appeared first on Nerd Reactor.